The Royal Society of Chemistry are proud to be the exclusive providers of The Merck Index Online, which is now available for your library to purchase. You can now watch our introductory video tutorial to find out more about this powerful and user-friendly platform. We hope you find it valuable! 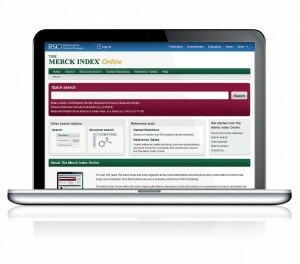 Why choose The Merck Index Online for your library? You can take a look and try out the platform for yourself, or submit your details online to request further information on pricing and trials. * The name THE MERCK INDEX is owned by Merck Sharp & Dohme Corp., a subsidiary of Merck & Co., Inc., Whitehouse Station, N.J., U.S.A., and is licensed to The Royal Society of Chemistry for use in the U.S.A. and Canada. 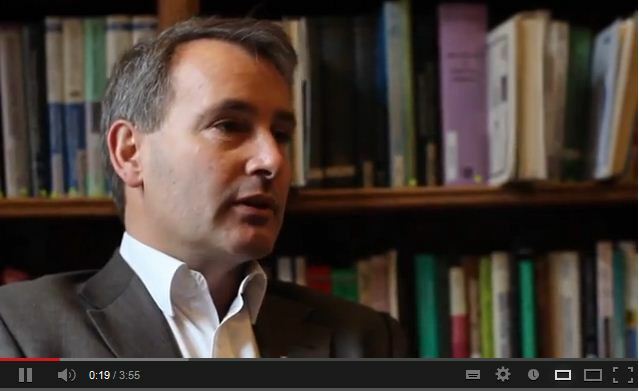 There’s a lot of talk amongst librarians about Open Access (OA) at the moment. Institutional subscribers to the Royal Society of Chemistry’s complete online package, RSC Gold, are entitled to Open Access voucher codes free of charge. We also have a range of purchasing options available for publishing both new and retrospective research Gold OA. To find out more, visit our Gold for Gold webpage. If you’re attending the SLA Annual Meeting next week, visit RSC Publishing at booth 630 and try your hand at our ‘Beat the RSC Buzzwire’ competition. The fastest time of the event wins an iPad mini, so why not drop by and test out those steady hands? Executive Director Stephen Hawthorne will also be presenting at the Science and Technology on the Go session on Sunday 9th June – come along to hear more about RSC mobile app innovations. You can visit us at booth 630 anytime to demo The Merck Index Online, ask about key products and services such as RSC Gold, and find out more about our Open Access publishing scheme, and meet the team. Contact Regional Sales Manager Matt Straiges directly if you’d like to make an appointment. Will you be in New Orleans this April? We are delighted to be exhibiting at the ACS Spring Meeting in New Orleans, and we’d love to see you there. Drop by booth #401 to discover more about what The Royal Society of Chemistry can do for you. We’ve got a whole host of free talks and events on-stand, from an open access overview to meet the editor drop-ins, so take a look and register your interest today to benefit from expert advice and pick up free RSC gifts. So whether you’re dropping by for free tea, coffee and cookies, finding out how to get published in Chemical Science, or seeing what’s now possible with the award-winning ChemSpider database, we look forward to meeting you. RSC Publishing is committed to disseminating chemical science information in the most relevant and timely way possible. Print issues of the RSC’s databases have become less and less valuable to our readers, therefore our databases will be available online only from January 2013. Contact sales@rsc.org to discuss subscription opportunities and discounted packages, or find out more at www.rsc.org/databases. 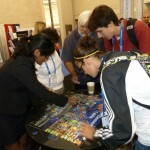 Did we meet you at the ACS in Philadelphia? Additional benefits include professional networking opportunities in your field through one of over 70 RSC subject-based groups. 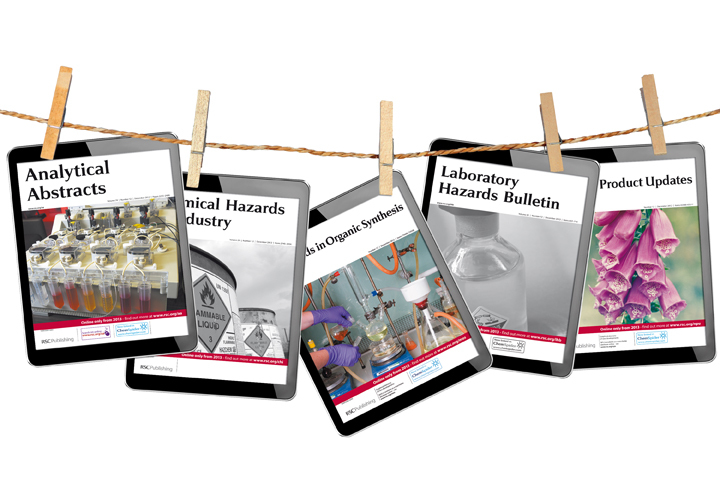 Register today and gain access to ALL free content from RSC Publishing, including the first 2 volumes of our new journals and a sample chapter from every book in the RSC eBook Collection. ChemSpider is our free chemical structure database that provides text and structure search access to over 26 million records. Why not try it out and see what you can discover? You can also find out more about our books and journals through our eTOC alerts and newsletters. If you have any questions or comments, please contact us, we’d be happy to hear from you. We look forward to seeing you at the next meeting!